At the start of a new year, I always begin to daydream about what my adventures could be in the next 365 days. My husband and I love to travel and see new places, so we have already started to plan a few trips for 2017. 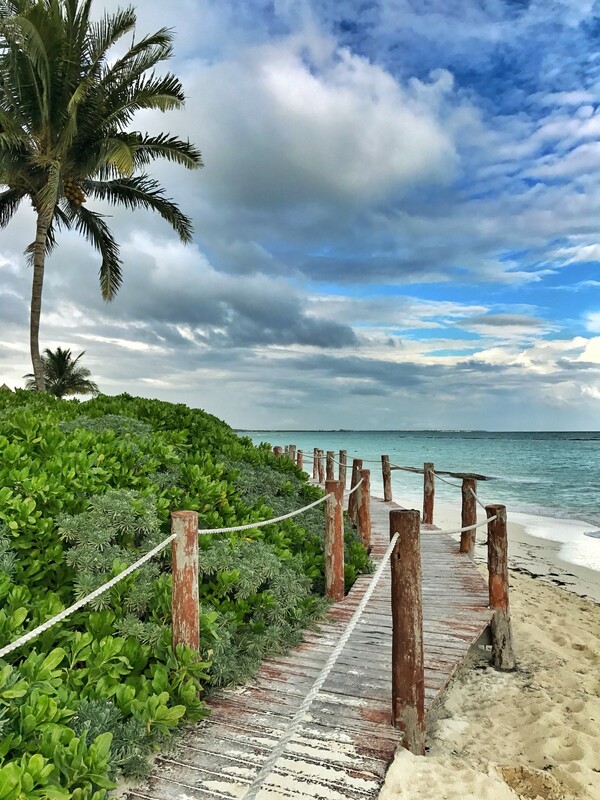 Warm weather vacations are some of my favorite getaways, especially during Boston winters, so I am hoping that we can catch some sun in the coming months. 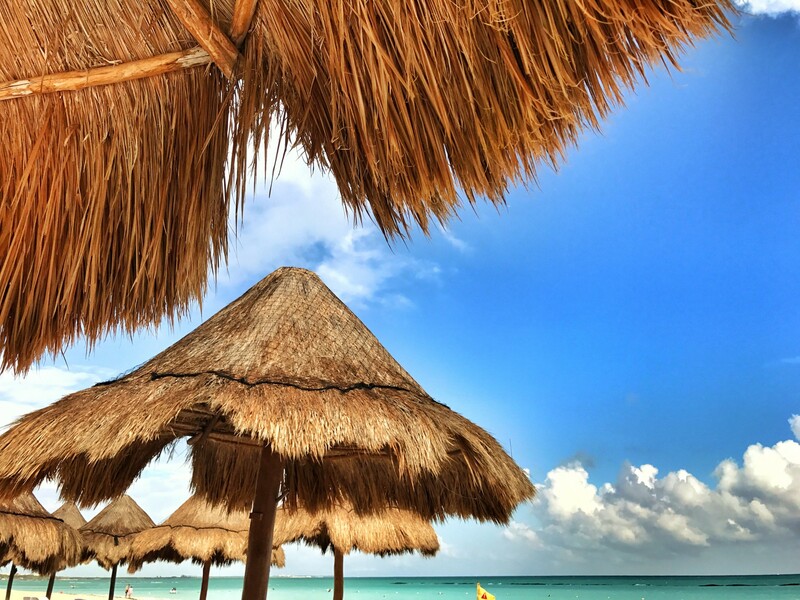 In December, we were able to escape the cold to enjoy the sunshine and beautiful beaches of the Riviera Maya. 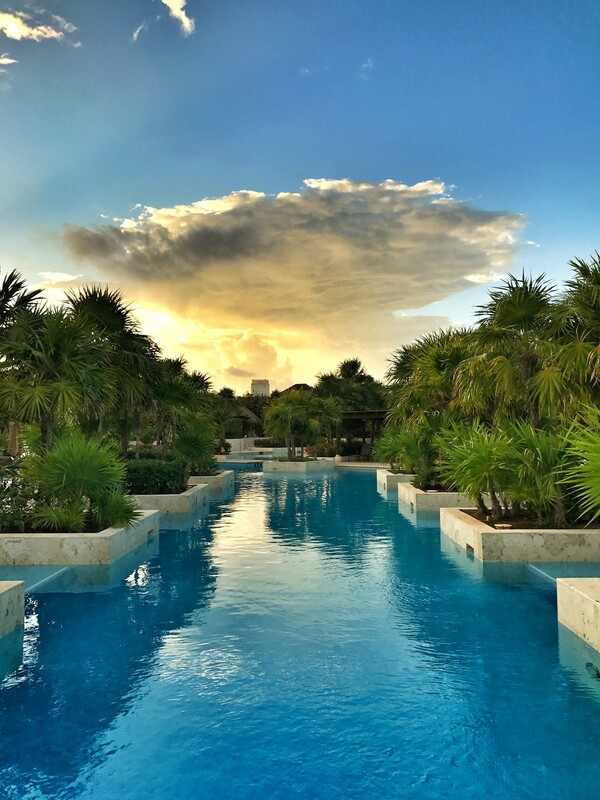 We stayed at the Fairmont Mayakoba, which had gorgeous, expansive grounds paired with top-notch customer service and excellent culinary options. Beyond the obvious rest and relaxation that a getaway provides, not surprisingly, I also enjoy planning my travel outfits. 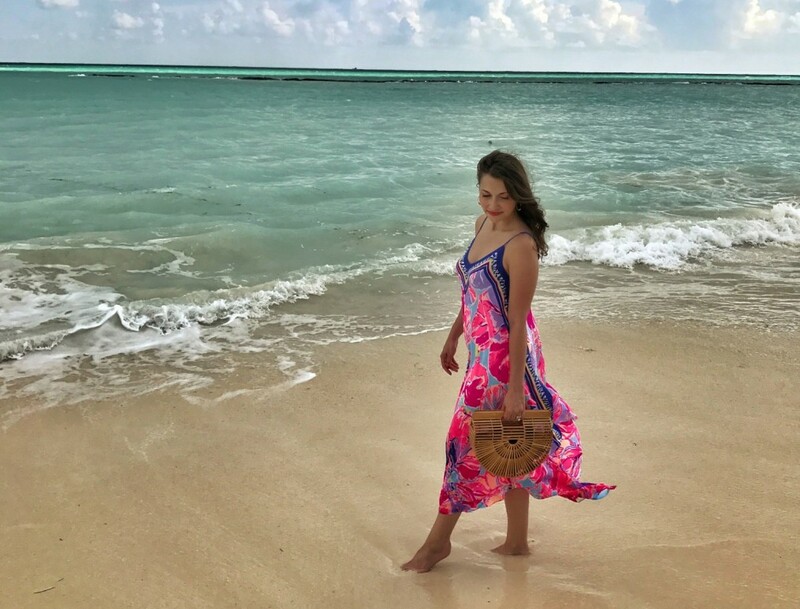 For vacation attire, I’m always drawn to bright colors, light, airy fabrics, and playful patterns. I love to pack a few fun, eye-catching handbags to complement my warm weather outfit choices. A great handbag can give your whole ensemble a lift and let’s face it, there’s nothing better than a little accessorizing! As a New Englander, you only get to enjoy summertime style for a few months each year, so whenever I can embrace it, I do. 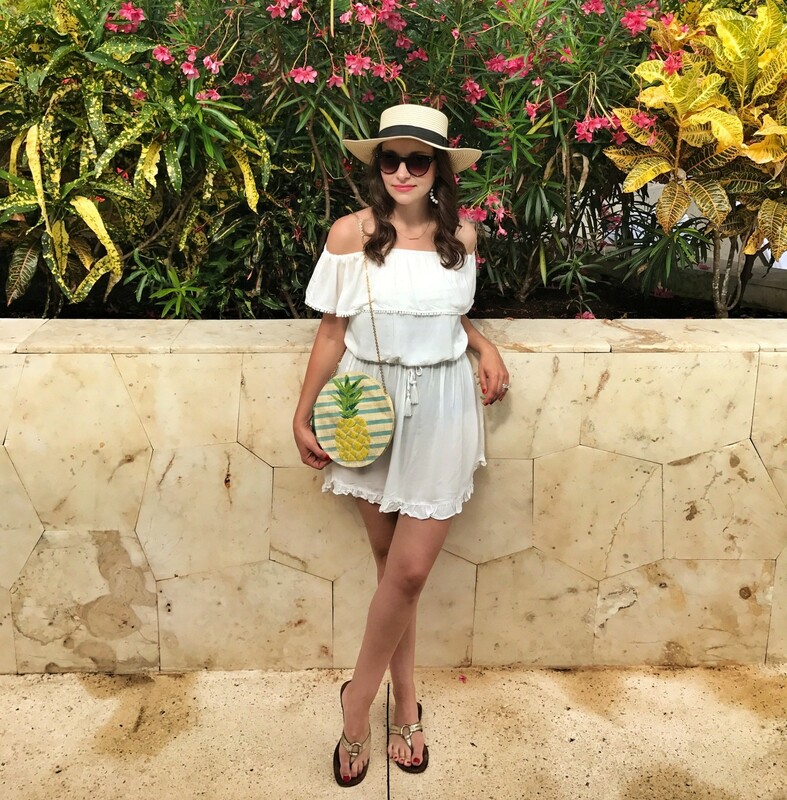 From beach totes to daytime handbags and evening clutches, I’ve rounded up a few of my current handbag favorites for vacationing. 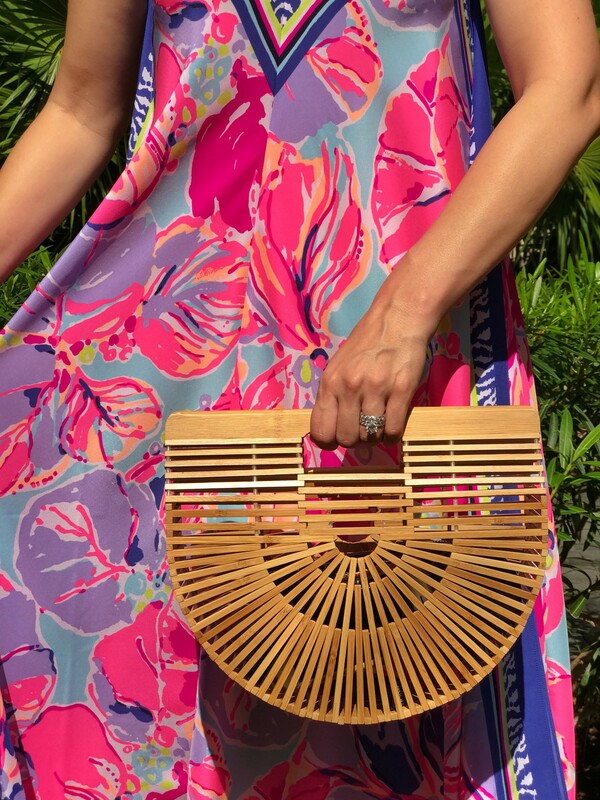 This unique wooden handbag has become a “blogger” favorite over the last few months and I can totally understand why. Beyond looking super cool, you can surprisingly fit a good amount of stuff inside of it. I will admit, this bag is a pain to pack for vacation, as it is fragile and needs to be stored in its box. However, once you arrive at your tropical destination, you will be thrilled to have it! Fun story: while I have always admired this bag, I actually didn’t purchase it for myself (it has been backordered on and off since the summer)! To my delight, my husband stalked a few of my online inspiration boards and surprised me with one for our five year wedding anniversary (we love to follow the wedding anniversary themes and #5 is wood! ha!). Major brownie points for him and a great addition to my closet! 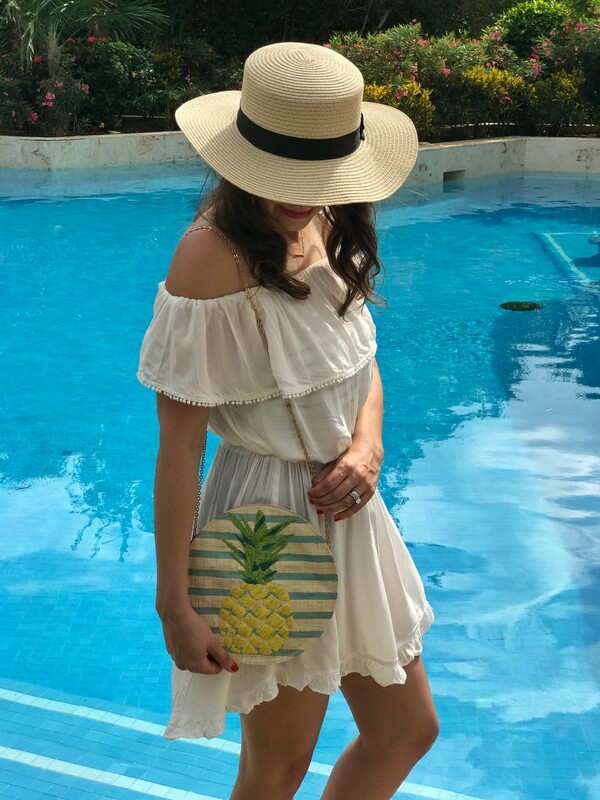 Pineapples are one of my favorite accessory adornments (I have everything from a pineapple paper clip holder to a pineapple cocktail shaker), so when I saw Kayu’s pineapple bag, I knew I had to have it. I receive compliments every time I use it, and it’s the perfect choice for day or night. Unlike Cult Gaia’s Ark Bag, this purse is super easy to fit in your carry-on and I am able to stuff quite a bit in it for a day at the beach. If you also like pineapples, check out Kayu’s clutch version of this same design. For a day at the beach or pool, I prefer to sport a larger style bag because let’s face it, I don’t pack light to go anywhere. This colorful straw tote can accommodate your beach read, sunblock, hat, water bottle, sandals, and even a lightweight change of clothes! When I bring this bag on vacation with me, I use it as my purse during travel because it will take up too much space in my suitcase, and it’s a great way to store all of my plane essentials. I can’t get enough of bright, pom pom bags for vacation! This Eliza Gran one is a top pick because of how easy it is to store. The straw bag is collapsible, so it can be neatly tucked inside your suitcase until you’re ready to bring it out to play. To me, this tote is an updated take on the oh-so-popular French market totes that everyone was sporting last year. This bag is playful and can fit everything you need for a day in the sun. If you’re a fan of personalization, you’ll adore the merchandise on Mariella Vilar’s site. Based in Florida, Mariella saw a demand to bring hand-painted vacation bags to the United States. While I love the French market totes, I’m a really big fan of her foldover clutches that boast a hand-painted monogram. One bit of warning – the paint may crack and/or chip over time, so if a few imperfections don’t bother you, this is a great pick!